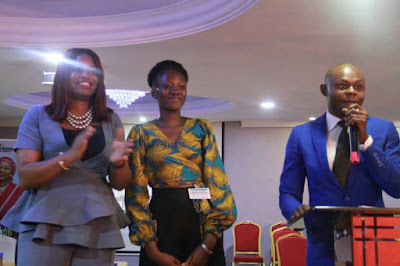 Mrs Iroghama Obuoforibo(left) Chief Operating Officer of Starzs Group, Presenting Award to the Overall Best Graduated Maritime Student 2017, Miss Nnamdi Nwanne(middle)a Marine Engineering Student of YABATECH, and Sylvanus Obasi, organiser of the programme. Starzs Investment Company Ltd has made good it’s pledge to offer sea time training to the best graduating maritime student under the programme ‘A Day With Nigeria Maritime Students’ organised by Platforms Communications. 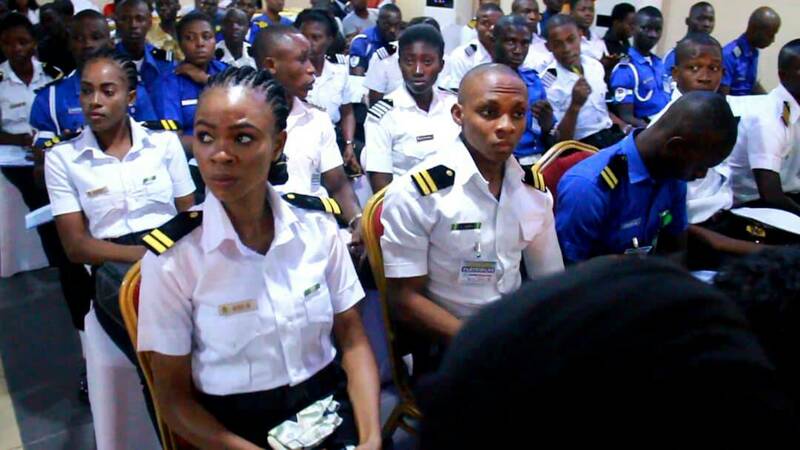 The 2018 edition of the programme which held recently, produced Miss Nwanne Nnamdi, a marine engineering graduate from the Yaba College of Technology, Lagos Nigeria as the best graduating maritime student. She graduated with a CGPA of 3.85.